Major League Baseball: Defenses that Get the Job Done! If you ask any major league baseball manager what the key to a successful season is they will likely tell you a variety of different scenarios. Most skippers would agree that a solid defensive team will keep a team in the pennant race longer than most squads. A good defense will also keep your betting tickets cashing at the window; a MUCH overlooked stat not used by many while handicapping games. If you can add the following to your handicapping repetoire, you will surely increase your chances of winning at baseball betting. Of course there are a ton of factors that feed the defensive make-up of most teams. Novice fans may argue that pitching is the golden ticket to a teams success, as the games odds are heavily weighted due to such. However there are several aspects of the game that most common people never consider or simply just dont understand. There are serious gamblers out there who will make major decisions based on a cappers break down of one defense versus another. Lets take a look at some these factors involved in MLB defenses. Its pretty rare to have a player like Ken Griffey Jr., in his prime, or Ichiro Suzuki who can make fantastic SportsCenter types of plays on a regular basis. There are some great playmakers out there who provide plenty for the highlight reels but they also muff the routine plays from time to time. (Eric Byrnes)Most managers will take the 9 to 5 routine play guy over a prime-time show off any day of the week. Baseball is a routine game more often than not. Sure, its nice to have a fan favorite but usually those guys are getting it done offensively more than in the field. Manny Ramirez has had his share of errors in the outfield yet nobody really complains as he makes up for it at the plate. Look for the teams that consistently make plays and you will find a successful ball club. The major league level is considered the highest peak in the game of baseball and rightfully so, after all, these guys have put in countless hours working on their skills to reach the show. No matter what league or level you play in there will always be a bottom feeder team in certain categories. A great defensive team must play error free or extremely close to it in order to be a winner. 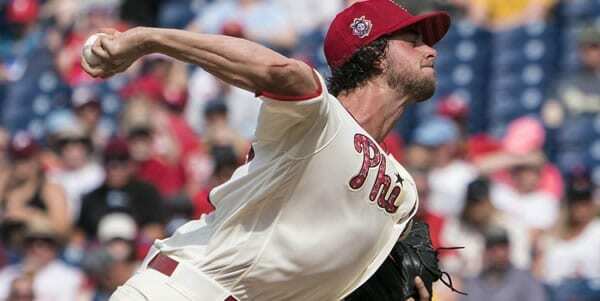 At time fo print (2009), in 56 games the Philadelphia Phillies committed only 18 errors. Errors in the game of baseball usually cost teams runs which ultimately leads to losses; just ask the Washington Nationals, they chalked up 52 errors in even less games (54). As a result to nearly error free ball, the Phillies lead the majors in FPCT (fielding percentage) at .991 while the Nationals are at .975. These numbers may seem close but baseball is a game of inches, trust me, every single percentage point is huge. How many times has an errant throw or booted ball in the hole at short cost you a bet? Trust me guys, it’s boring to pay attention to, but it’s well worth it and can be the difference of three to five whole percentage points in your win/loss percentage by season’s end! Baseball is ridiculous for the number of statistics that are tracked during each game but they can paint a detailed picture of what to expect from a team nearly every game. Perhaps the most important defensive statistic to look at is the DER (defensive efficiency rating) which logically tells you what teams are consistently solid. Through the first 55 games of the regular season (09) the Milwaukee Brewers lead the league with a DER of .7324 and the Colorado Rockies currently hold the lowest ranking at .6800. The DER is a compilation of defensive categories that show which teams have the upper hand in the field. We cant forget the stolen bases statistic because usually the more SBs a team has the more likely they are to score runs thus building their chances to win more games. The Boston Red Sox have allowed 60 stolen bases this season to date with the Ney York Yankees a close second at 59 followed by the Florida Marlins with 56. These are not guaranteed losers as all three of these teams have won a World Series in recent years, however, if youre wagering on specific defensive categories these teams give up the most bags. The Cardinals have only allowed 12 SBs. Wow, thats a bit of a difference, but again, baseball games are so complicated when it comes to why or how a team wins. Finally, lets not forget the third baseman as this guy usually commits the most errors based on his location on the field. The three-bagger is under a lot of pressure especially when guys are on base. There are 24 different ways for a runner to score from third base! Thats why you often here coaches, especially at the lower levels yelling keep the guy off of third, or get the lead runner! If you want to feel better about the team you pick to win take a look at how their third baseman has faired, it may win or lose you some cash. Baseball is a funny game, but like most other sports it is defense that usually wins games. We have just scratched a couple of factors in this article that might help you decide on future picks, and hopefully the information pays off! Luck to ya.